Coding is one of the most important job skills of the future. Almost every single business relies on computer code to maintain its day-to-day activities, which is why people who are adept at coding are much more attractive to employers. Programming jobs are growing 12% faster than the market average. 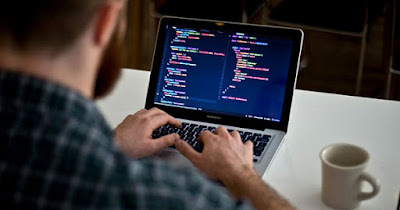 If you want to take advantage of this exciting opportunity, below are some of the best ways you can teach yourself how to code and improve your marketability. Before we get to the tools you can use to teach yourself how to code, we need to begin with the basics. Many people struggle with absorbing new information because they haven’t taken the time to discern what their learning style is. There are four primary types of learners: visual, auditory, reading/writing, and kinesthetic. Understanding what motivates you to learn will be indispensable when starting the arduous task of learning code. Is your ultimate goal to become a successful software developer? Do you want to be able to make interactive video games for fun (and for profit)? Consider what level of fluency you want to attain—thi - will guide your decision making along the way. A common reason people want to learn how to code on their own is to avoid the extra time and costs associated with a four-year degree. Nevertheless, introductory courses at your local community college can be a great resource. Computer science is a large component of code, so taking a few courses to advance your background will make you a better developer in the long run. Free courses? Sign us up! There is an array of coding curriculum available online for free. One of the most effective online learning tools for coding is aGupieWare. This independent app developer compiled some of the best available computer science programs from MIT, Berkeley, and Stanford, and created a free program for anyone to use. It’s a great comprehensive tool for anyone interested in coding. There are books for programmers at every skill level, but for those of you who are just starting out The Absolute Beginner’s Guide to C is incredibly useful. This book is perfect for beginning programmers learning the C language - one of the most popular computer languages currently used. You may also find Java: A Beginner’s Guide useful. Learn more about the latest standards of Java, another prevalent scripting language used in web pages and browsers. These tips barely scratch the surface of the intensely enriching field of computer programming. Make sure your devices, whether it be an old tough book or the newest edition of MacBook, is up to the task. If you dedicate yourself to honing your craft, your future job searches will are sure to be fruitful.